Childhood cancer survivors are at a much greater risk of developing HPV-related cancer than the general population, yet far less likely to get vaccinated. Dr. Allison Grimes, the director of the Adolescent and Young Adult Cancer Program at UT Health San Antonio, said both women and men who've survived childhood cancer are much more likely to get HPV-related cancer later in life. "In fact, females have a 40-fold increased risk of an HPV malignancy, and male survivors of childhood cancer have a 150-fold increased risk of developing HPV-related cancers," Grimes said. Grimes said just over 13 percent of the people treated for childhood cancer at UT Health San Antonio started the HPV vaccine series, and only 6 percent completed it. She thinks these kids, who often have more than one doctor, are simply falling through the cracks. "Pediatricians might think it's the job of the oncologists since it's a cancer prevention vaccine, and oncologists don't routinely provide vaccines in their cancer clinics, and so they generally assume this is going to happen in the primary pediatric or family medicine type clinic," Grimes said. Grimes wants to fix that, and in August she received a $1 million grant from the Cancer Prevention and Research Institute of Texas to teach health care providers about the increased HPV related cancer risk survivors of childhood cancer face, and to offer to kids eligible for the HPV vaccine the shots at five pediatric oncology clinics across Texas. She also hopes to educate the patients. 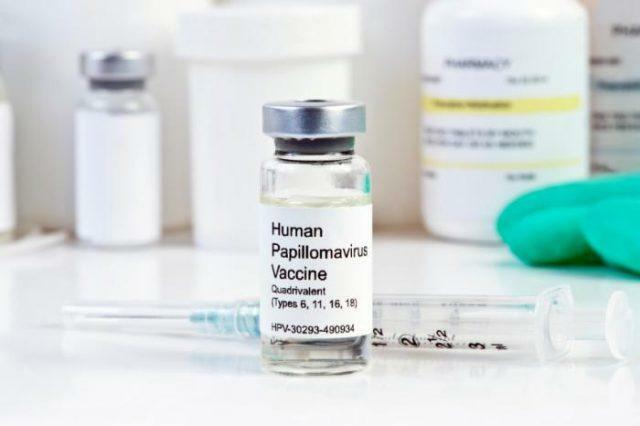 "If survivors of childhood cancers knew how vulnerable they were to second cancers from HPV and also knew it was highly recommended from their oncologist to receive the vaccine,” she said, “then I think that patients and their families would be really encouraged to do so and to follow through with completing the vaccine series." Grimes hopes to increase the rate of HPV-vaccinated childhood cancer survivors at those five clinics by at least 50 percent. The clinics included in the grant funding are at UT Health San Antonio, Methodist Children’s Hospital in San Antonio, Dell Children’s Hospital in Austin, Driscoll Children’s Hospital in Corpus Christi, and Texas Tech University Health Sciences Center in El Paso.